Wish bone bracelets are designed to attract good fortune. A unique geometric pendant bracelet to add elegance and delicacy to any woman, enhance their outfit and uplift their mood. When jewelry is designed well, when it is inticately detailed and ornate, it just adds an air of sophisticated style. Unique jewelry gives you edge. A great gift for anyone you love whose into elegant jewelry. * Made from the best materials available. 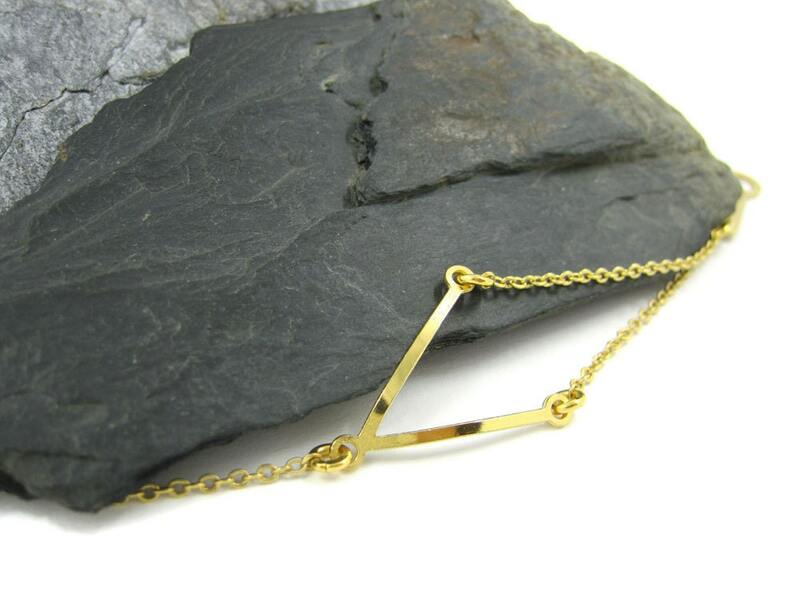 * Goldfilled chain and clasp. * Pendant Length: 2.5 cm\ 1"
* Pendant width: 2 cm\ 0.8"
* For a different length, please convo me. If you want to have your own designed custom order I will be happily make it for you!